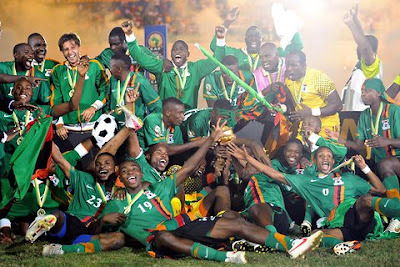 Ma Petite Niche: ZAMBIA: 2012 AFRICA CUP OF NATIONS CHAMPIONS! 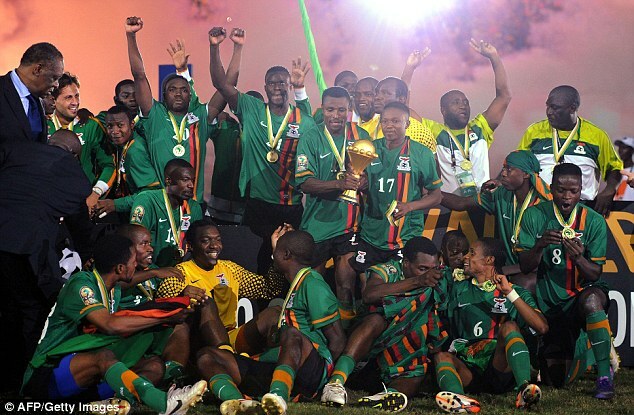 ZAMBIA: 2012 AFRICA CUP OF NATIONS CHAMPIONS! 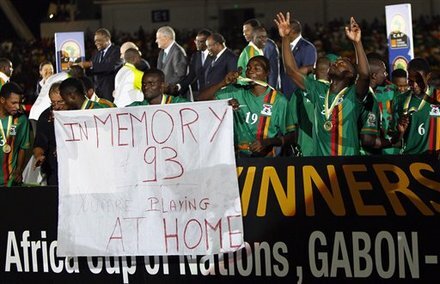 The Chipolopolo have done it! 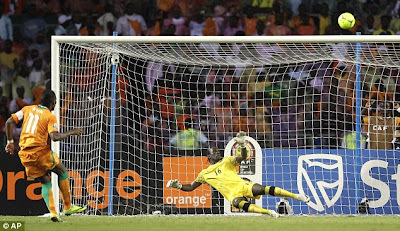 Even though I was rooting for Ivory Coast, I have to give credit where its due. Haven followed the tournament from the very first game, I was very impressed with the Zambia Team. This victory is very significant not just for people who love football but for the entire country and am sure also for the people of Gabon. They say God's time is the best and I believe it in this case. This was the perfect time, year and opportunity for the Zambia team to honor the lives of all the 30 players and game officials lost in the 1993 tragedy in Libreville . I do not believe in coincidences. For Zambia to win in the same country, city, and in this tournament is nothing short of a miracle. Nevertheless, the above observation is not meant to disregard or ignore their handwork and efforts as a team. 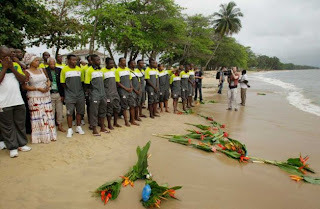 Compared to other teams represented in the tournament such as Ghana and Ivory Coast, the Zambian players are all members of their nation's local football clubs. None of them belong to major league football clubs in Europe such as Arsenal, Chelsea, Man U (who i hate with a passion ^_^), Manchester City and etc. Therefor, they were not the favourite to win. 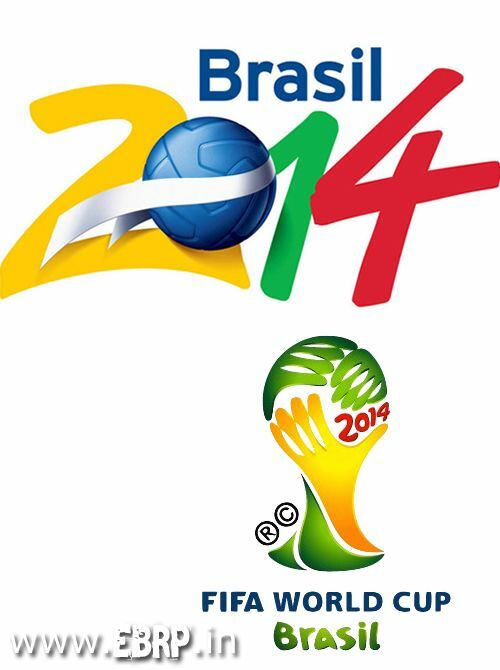 Ironically, Ghana whom I was looking forward to seeing in the finals had a very disappointing overall performance. 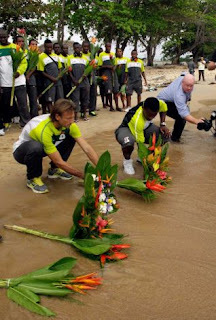 I hope they don't intend to mimic the bad behaviors that kept the Cameroon, South African,Nigerian and Egyptian teams from qualifying in this tournament. I also most applaud all the teams for their overall good sportsmanship behavior, especially the final match between Zambia and Ivory Coast. To see them both show signs of brotherly affection even during a competition was very refreshing. And finally, I liked the idea of having Gabon and Guinea co-host the Tournament. I think they did an amazing job as host from all the pictures i have seen online about the whole event. Here is a YouTube video of what I believe is a cultural ceremony to welcome all the teams and fans to the tournament.